Kiddiewinkles presented their range of beautiful playhouses to us and we thought they would make a perfect addition to our existing playhouse range. We loved the Kiddiewinkles’ unique dual themed 2 in 1 concept and believe this takes creativity to the next level. We love the idea of a door on both sides of the playhouses – so there is easy access for children to run in and out of with no pushing or shoving to get in through one door! Plus with intricate embroidery detail on all 4 sides of the playhouses you can turn them around for variety. Finally, the playhouses inspire even more creative and imaginative play as there is a different theme on the front to the back! All the Kiddiewinkles playhouses are available in 2 sizes – I can even stand up inside a large playhouse so it will be a long time before your child grows out of it!! Kiddiewinkles have kept their designs sophisticated to retain their longevity. If you buy a playhouse for a young child they really will get years of fun out of them and therefore they offer exceptional value for money. A Kiddiewinkles playhouse will be a treasured gift for years. 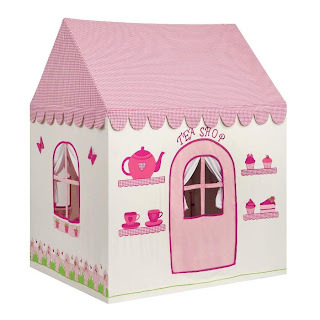 Their popular dual themed ‘Rose Cottage and Tea Shop’ playhouse was the first playhouse introduced to their range. The front and 2 sides depict an English Rose Cottage with hand embroidered and appliqued butterflies, flower pots, roses and a truly gorgeous picket fence adorning all 3 sides. Turn it around and the back is a quintessential village Tea Shop complete with pink gingham appliquéd shelves, embroidered tea cups, a tea pot and cupcakes – perfect for afternoon tea whatever the weather! The 2 in 1 Enchanted Garden and Fairy Woodland playhouse takes inspiration from fairies at the bottom of the garden and is a delightful, pink playhouse based on a fairytale woodland scene. Adorned with bluebells, daisies, birds and fairies when you turn it around the enchantment continues with a mystical woodland scene. Striking trees bear rosy red apples and fairies twinkle with silver wings and dresses. The NEW 2 in 1 Gingerbread Cottage and Sweet Shop playhouse is almost good enough to eat with its cute appliqué and embroidered gingerbread men adorning all four sides. Turn this around and it becomes a sweet shop with shelves full of tasty treats including traditional candy canes and swizzle lollipops. 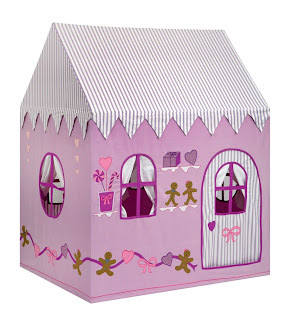 The 3 ‘girls’ playhouse designs offer a nice variety with the different coloured base fabrics. 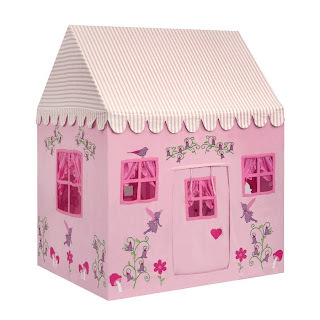 So if pink isn’t your thing you can always opt for the lilac based playhouse! Kiddiewinkles didn’t want to leave the boys out so have included a Fire Engine playhouse and striking Wild West Wigwam to their range. These designs have however proved as popular with little girls as they have done with the boys! The Wigwam has a natural cotton canvas background featuring a blazing sun on the front. 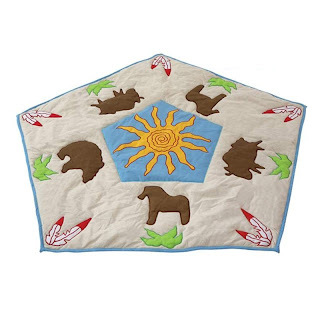 Horse, buffalo and bear appliqué motives are included on each side along with tufts of grass, red and white feathers and a colourful zigzag pattern for authenticity. 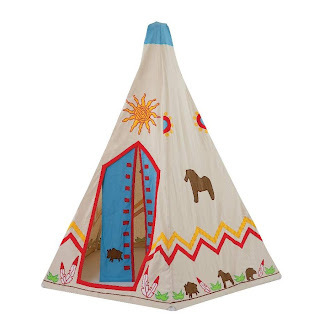 Perfect for summer days in the garden or as a secret den in a bedroom or playroom, this fun Wigwam design will bring out the cowboy and Indian in all little people! Their authentic Fire Engine playhouse will appeal to aspiring young firemen! Hand embroidered and appliquéd wheels complete with lights, fire tools, ladder and a fire hose this bright red design will encourage creative play. The roof covers half of the fire engine to provide a den or driving area and the rear is open to enable hours of interactive play, putting out ‘pretend’ fires! Lastly their toy baskets have been really popular for storing allsorts of things in. My daughter keeps all her soft toys in her pink one. 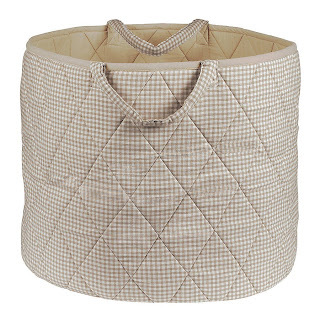 A friend has just had a baby and loved the neutral coloured one for the nursery – perfect for storing muslin cloths, towels etc. in it. All Kiddiewinkles™ products are made from 100% cotton. All the playhouses are available in a large and small size. 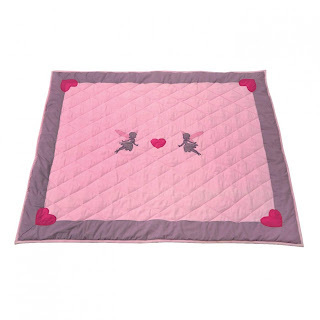 Co-ordinating floor quilts are also available to compliment each playhouse. Debbie Hulme from Kiddiewinkles™ said: “All parents we speak to believe in imaginative and creative role play for their children. As a company we are passionate about designing toys that encourage creative play.